Residents described the shopkeeper as “friendly and polite” and said the community had been shaken by his death. 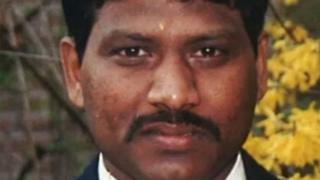 Police said the attack on “completely innocent” Mr Katharkamar was “vicious and unwarranted”. A number of appeals have been launched to raise money for Mr Katharkamar’s family. Journalist Caron Kemp, 36, set up a GoFundMe page after seeing the sadness expressed by members of a local Facebook parenting group she oversees. Kristina Bennett, 31, who organised another appeal, said Mr Katharkamar’s death had “shocked us all”. Det Ch Insp Simon Stancombe said: “This was a vicious and unwarranted attack on a completely innocent man.